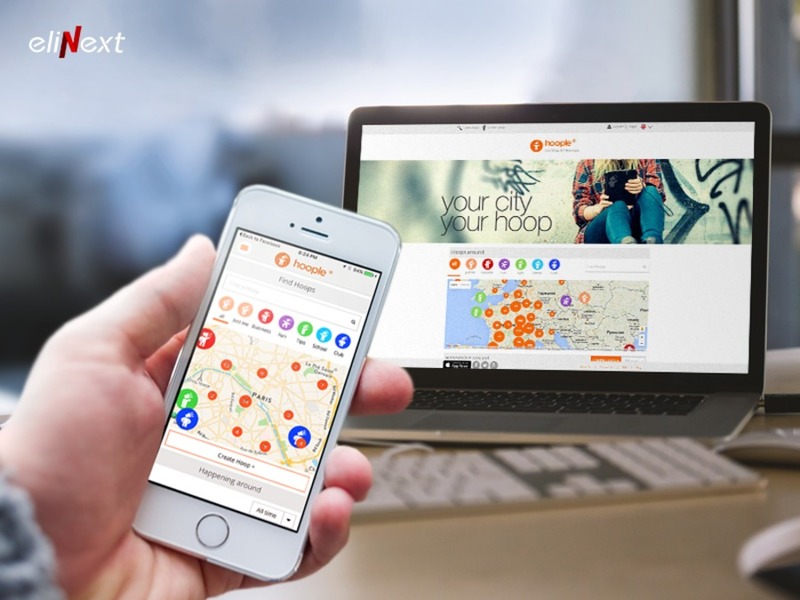 Elinext is obsessed with making web and mobile apps work perfect and look clean and modern. Each client is treated as a partner as we believe when they are prospering in their business with our solutions, we are prospering as well. Due to that approach we established firm relationship with CA Technologies, AIG, Siemens, Parrot, Trumpf. Hoople is a social network that helps you reveal your hobbies to the world or create a club around them. With the help of Hoople you can easily create a news stream, discover blogs and groups in your neighbourhood. Hoople comes with a separate mobile app.